Parents and guardians trust daycares to keep their children safe from harm. But unfortunately, for some families, daycare accidents turn into trips to the hospital. Your child may suffer from a broken bone, a concussion, or worse – and you may be worried sick about what it means for your child, your family, and your finances. Children are energetic and carefree, so teachers and caregivers need to be ready for anything. While some accidents are unavoidable, many more could be prevented if daycare employees, facility leaders, and other people who interact with kids follow proper safety guidelines, eliminate hazards, and supervise responsibly. If your child was injured while at a daycare facility, and you think someone else was to blame for their injuries, contact our Pennsylvania lawyers at Edgar Snyder & Associates today. We understand nothing is more important than your child's safety, and we're ready to put over 35 years of experience to work to help get you compensation for your child's injuries. 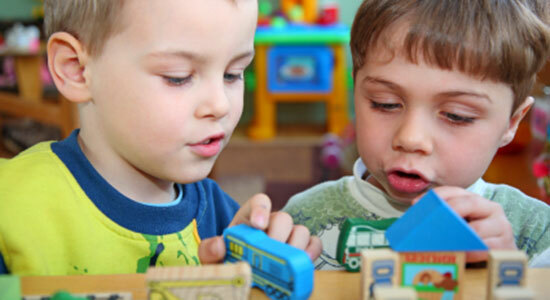 Child Care Accidents - Who's Responsible for Causing Your Child's Injuries? According to the U.S. Census Bureau, there are approximately 21 million children under the age of five in the United States. Some parents are able to stay home with their children before they enter kindergarten, but many rely on daycares to watch their kids while they work. There are many different types of daycare facilities, including providers who care for children in their own home. All have a duty to protect the children they care for and keep them safe. This means they can be held responsible for injuries that take place due to negligence – whether something happened because they "stepped away for a few minutes" or the child was injured because the facility itself was not safe. For example, a daycare may be undergoing construction, but the director of the daycare facility must take every measure to make sure a child isn't injured due to construction hazards. There is no excuse for injuries that could have easily been avoided. In fact, there are a number of rules in place to make sure that any and all care facilities provide the best environment for a child. If the worst does happen and some sort of injury occurs, caregivers are required to immediately report the accident to the parents. At Edgar Snyder & Associates, we know your children are very important to you – and you'll stop at nothing to protect them from harm and ease their suffering. If your child was injured while at a daycare, and you think someone else was responsible for the accident, you may have a case. There's only one way to find out. Call 1-866-943-3427 or fill out the form at the top right of this webpage for a free legal consultation. Remember, evidence disappears quickly, so there's no time to waste. Contact us today to learn your legal options.